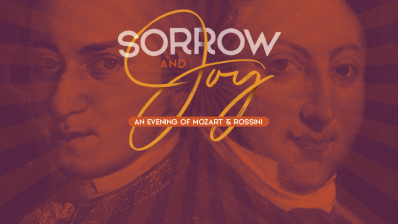 Experience Mozart’s "Exsultate, Jubilate," a soul’s joyous celebration of sunshine after storm, and Rossini’s "Stabat Mater," a moving portrayal of Mary’s grief at the foot of the cross. The concert features four of Pensacola Opera’s Artists in Residence — Andrea Baker, Christina Pezzarossi, Alexander Scheuermann, and Corey Gaudreau — with the Choral Society of Pensacola and the Choral Society Orchestra. Xiaolun Chen conducts.